It’s Monday! What are you reading? Join in with Jen and Kellee’s meme and share what you are reading from picture books to young adult reads. Always an opportunity to learn about new titles! I had huge amounts of picture book love this week! A large part of that was having tickets to go see Jon Klassen at Vancouver Kid’s Books. Wow! Such an interesting and engaging presentation. Jon is charming and then some. So because this post is all about picture book gushing, I thought I would try to place these books loosely into categories to bring some kind of organization to this post . . . that way you can just locate a section you are interested in! 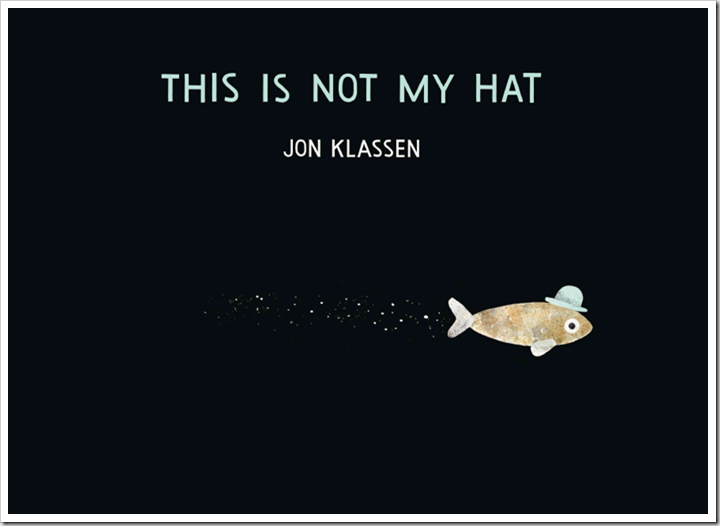 This is Not my Hat written and illustrated by Jon Klassen Love this book. Doesn’t hurt that I got to hear it first read and explained by Jon Klassen himself all the while holding my signed copy in my bag! But I would have loved it anyway. I love the dark pages, the horizontal format, the mood conveyed by the eyes and all of the inferring this book begs you to do. 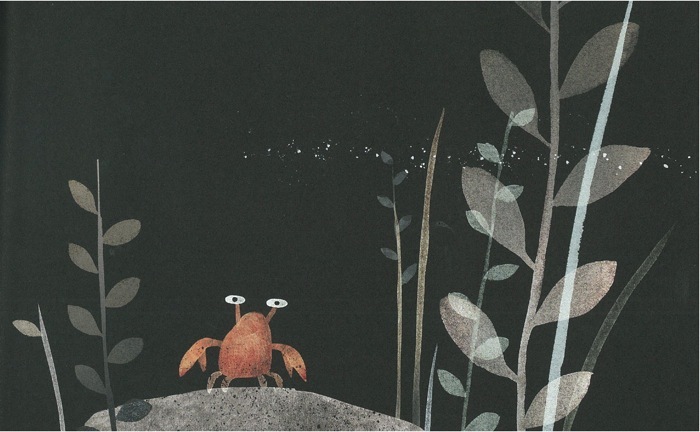 The crab in this book is a fantastic supporting character. (He gets a starring role at the top of this post!) I find Klassen quietly brilliant. 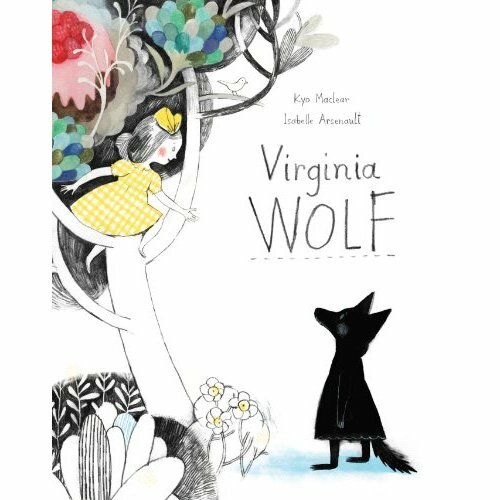 Virginia Wolf written by Kyo Maclear and illustrated by Isabelle Arsenault. Kyo read this book to us in the presentation at the Writer’s Festival and when I returned to class, I read it aloud to the children again. They were completely delighted by the story and Arsenault’s stunning illustrations. As soon as it was quiet reading time, this book disappeared to be read again independently. A fantastic title about a dark mood, a hopeful sibling, the magic of imagination and the lightness when sadness lifts. This book can be read again and again and the reader will continue to discover new things. I read this book last year to my Reading group and they adored it. 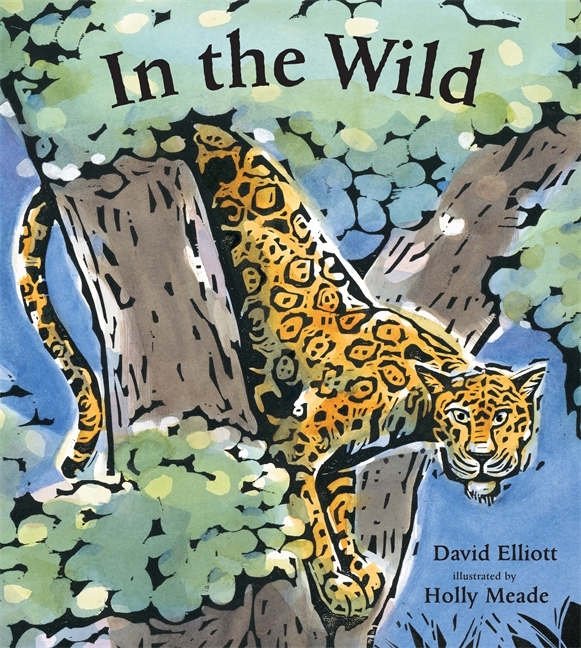 In the Wild is written by David Elliot and illustrated (gorgeous woodcuts) by Holly Meade Poems written by Elliot are lifted off the page by Meade’s striking and powerful woodcuts. My wish list now includes On the Farm a previous collaboration by these two. 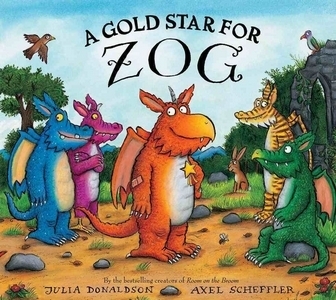 A Gold Star for Zog written by Julia Donaldson and illustrated by Alex Sheffler This was our first BLG book of the year and we loved the language, the plot and the bright illustrations. Zog may not be the best at every task at Dragon School but he helps someone else find her way. For that, I think we can call him heroic. 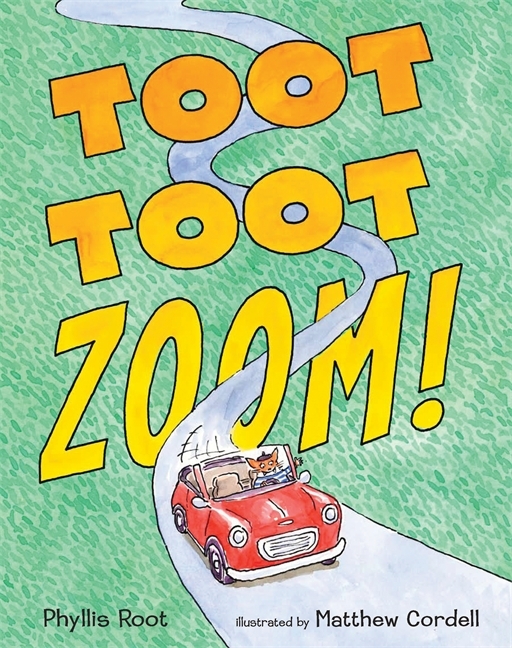 Toot Toot Zoom written by Phyllis Root and illustrated by Matthew Cordell This is a likeable little story about the search for friends. Many adventures and lots of delightful traffic noise fill the pages as Pierre the fox travels to the other side of the mountain. 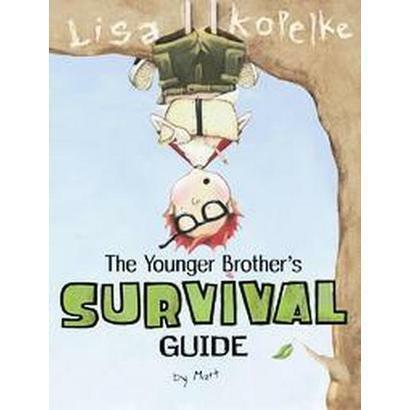 The Younger Brother’s Survival Guide by Lisa Kopelke Supposedly, this book was written by “Matt” Kopelke’s younger brother who entertains the reader by his step by step guide on how to terrorize and torment your older sister (who remains all the while older and more clever). 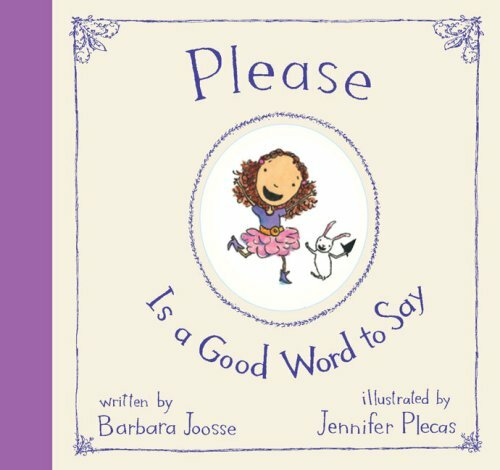 Please is a good word to say written by Barbara Joose and illustrated by Jennifer Plecas I’ve read some reviews of this book that claim it is a simple, too cutesy book about manners. I found it quite wonderful really. It is definitely a child’s voice that comes through loud and clear as when and how to use polite phrases and expressions are explained. It is hardly simple to understand the proper placement of please so that it sounds polite and gracious vs. whiny and annoying. I can see this book making kids really think about how best to use manners and that it would prompt many conversations. 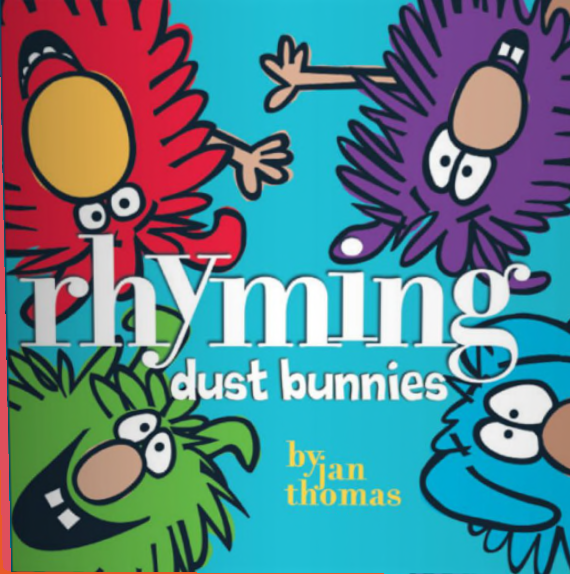 Rhyming Dust Bunnies by Jan Thomas. I first heard about this book from my principal because her five year old daughter was raving about a hilarious book that her teacher had read to her and was insisting that they had to have this very book a.s.a.p. I am always intrigued by book passion so had kept this title in the “be on the lookout for” compartment of my brain. I found it this week at the public library and now see why this little kindergartener was so enthused about it. It is hilarious! Bright and colourful illustrations and a funny little plot. Oh beware the vacuum if you are a dust bunny! The bonus: it also lets the readers practice rhyming! What could be better? I want this book for my buddy reading bin! It is perfect for reading to our little kindergarten buddies. 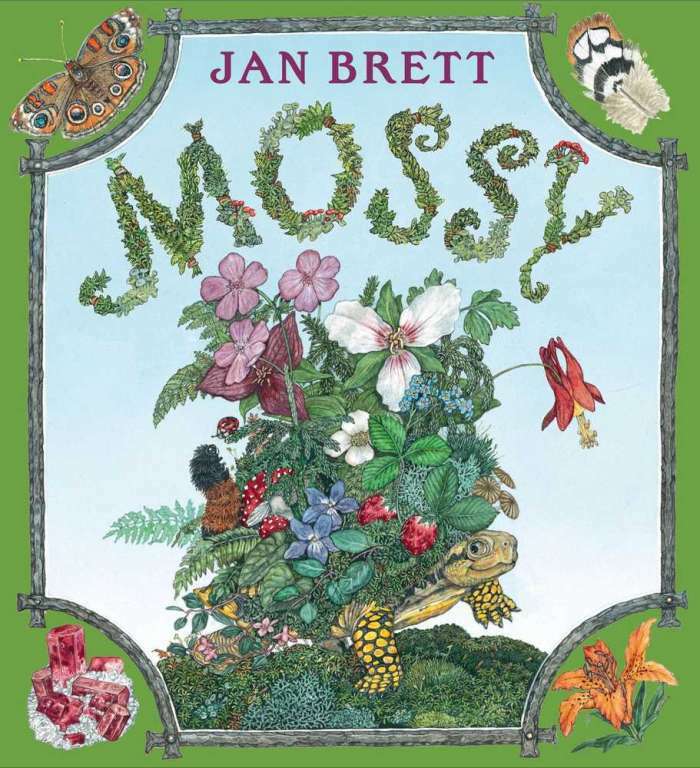 Mossy by Jan Brett. I have always loved Jan Brett. My children were fed Jan Brett books about as often as mashed carrots in their early years. Always her illustrations are exquisite. Most of the time her stories are good. Sometimes just okay. Sometimes great. This book falls into the great category. It examines a beautifully unique little creature and the human tendency to want to “have” that beauty at the expense of the happiness of the creature. In this case, Mossy is captured and placed in a museum until a young girl senses her unhappiness. Reminds me of the wonderful Melvin and the Boy by Lauren Castillo. In fact, I think I am going to read both books this week with my reading group and do some inspired writing. 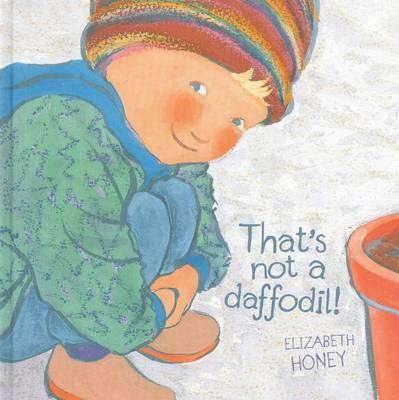 That’s not a Daffodil by Elizabeth Honey. This book has many things in it that made it a quick favourite for me: an intergenerational relationship, a theme of nature and gardening and beautiful imaginative language and imagery. A perfect book to inspire looking at nature in creative ways and I can’t wait to share it with my students. It also heads into my school bag this week. I am also smack dab in the middle of The Raven Boys by Maggie Stiefvater and must finish it by Friday as it is requested and I can’t renew it at the library! Wish there was more time because I am really enjoying the story. Determined to squeeze in some late night or early morning reading sessions. What are you reading? Please share! This entry was posted in It's Monday What are you reading? and tagged Alex Scheffler, Barbara Joose, David Elliot, Elizabeth Honey, favourite illustrators, fiction, friendship, gardening, great read alouds, Holly Meade, humour, Isabelle Arsenault, Jan Brett, Jan Thomas, Jennifer Plecas, Jon Klassen, Julia Donaldson, Kyo Maclear, Lisa Kopelke, Maggie Stiefvater, Matthew Cordell, Monday reads, nature, Phyllis Root, picture books, rhyming text by carriegelson. Bookmark the permalink. So many books I want to get my hands on! Prioritizing Mossy, looks lovely! It is really lovely. I saw it on someone’s IMWAYR post last week and then found it at my public library this week. I’m very curious to see how my students respond. You just add to my list each week, Carrie. What beautiful books shared this time. I love the covers of so many, Virginia Wolf and That Is Not A Daffodil, Mossy, and In The Wild-all look terrific! Thank you! Must go to the library, not to the bookstore! Although my school’s having a book fair this week-terrific! Wonderful also that you saw the presentations and took your class to one, too! It was really special to take my class to the author presentations. They asked some sweet questions and Sheree Fitch thanked me for bringing them. Some students talked about wanting to be authors and it certainly helped to build their intrigue about books and their magic! Mossy is definitely new. I found it in the new books section of the library. Virginia Wolf is very special. Well worth many rereads. Thanks for the feedback! Oh and on Klassen – in my opinion, you just cannot go wrong! I also read This is Not my Hat this week. I am so jealous of your experience with Jon Klassen! My favorite part of the book is how the flat pages of seaweed can convey such motion! Amazing and once again a fun read from Klassen. Mossy is already on my to be read list and I will have to look for Younger Brother’s Survival Guide. It sounds really funny! Thanks for sharing. This is Not my Hat is fantastic. And yes, so much on each page. It was a real treat to meet Jon Klassen! It is truly gorgeous. I am sharing it with my reading group tomorrow. Looking forward tot heir reactions. So much in those illustrations! Yes Amazing to see Jon Klassen I got two copies of this latest. One for me and one for my amazing support worker in my classroom. She LOVED it. And her children beg to have the story read over and over! And yes, the crab just does me in! How great that you have a signed copy of THIS IS NOT MY HAT! My students and I really love this book. You described it so well. I will definitely try these picture books. I haven’t heard of any of them. Thank you, Carrie! Yes, a signed copy is a treasure! I am going to try and post about using the book Mossy in the classroom soon. So many great books out there!